Christmas is all done and dusted, I had 12 for Xmas day dinner which went all very nicely and everyone enjoyed the food which was followed by party games organised by my sister Anna and her daughter Maisie. Great fun and its lovely to fill Eight Oaks Farm with a large family party, the house certainly lends itself well to partying! We are now gearing up for the the new season, I have lots of dressage outings planned to begin with…….. errr well three… that’s lots isn’t it??!!! 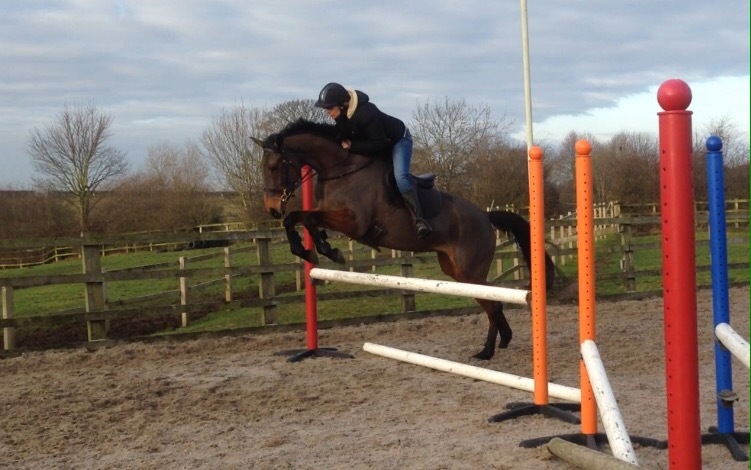 Then the fun begins with some arena Eventing mid January. Buddy has been turned out for a month and the lovely Captain is back in work. I bought stunning grey horse for 2017 but after a weeks trial and trouble with his brakes, he has been replaced by a very nice bay mare, who is rising 5, photo below. I have a team of 3 bays and a chestnut for this year….oh and Dippy who is the odd one out, being a chunky piebald!